Some of the first members of The Church of Jesus Christ of Latter-day Saints in Arizona marched with the Mormon Battalion, a group of Latter-day Saints preparing to fight in the Mexican-American War, in the winter of 1846-47. Other members arrived in 1873, sent from Utah to colonize the area. More settlers in 1876 built a fort, dug canals, built dams, and struggled to adjust to the dry land. During the exodus from Mexico in 1912, Arizona became a place of refuge for many Mexican Latter-day Saints. 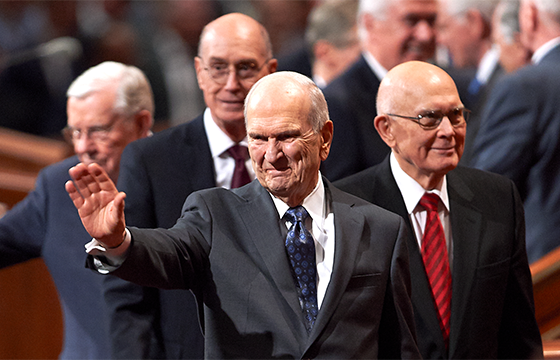 In 1973, a long-time resident of Thatcher, Arizona, Spencer W. Kimball, became the Church's twelfth President. He served until his death in 1985. The Church is also known in Arizona for its temple located in Mesa. Many community members visit the temple grounds every December to see the Christmas lights. Since 1938, Church members have presented an annual Easter pageant on the temple grounds. The performance, "Jesus the Christ," has attracted approximately 80,000 people each year.